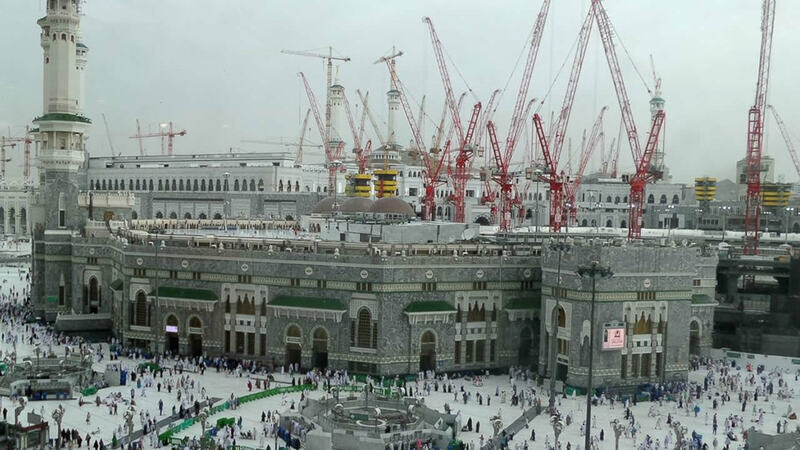 RIYADH, Saudi Arabia -- Saudi Arabia's civil defense authority says more than 100 people have been killed and more than 150 people have been injured after a crane collapsed on the Grand Mosque in the holy city of Mecca. The authority announced the latest casualties' figure from Friday's accident on its official Twitter account. The accident happened as pilgrims are streaming into Islam's holiest city for the annual hajj pilgrimage later this month. Videos and photos posted by social media users showed a grisly scene, with police and onlookers attending to bloodied bodies on the polished mosque floors. Mecca is Islam's holiest site. Millions of pilgrims from around the world will converge on the city and the mosque for the annual Hajj pilgrimage, which takes place later this month.